Kissing can be dangerous! Believe it or not, a kiss is an often overlooked form of cross contamination. Bread, pasta, and most importantly, BEER, are all culprits. I think beer is the worst… because someones is likely to wash a glutenous meal down with a drink, cleansing their palette, and (hopefully) also the gluten… but most people don’t chase their beer down with a cleansing glass of water. Same goes for sharing utensils, straws, and drinks. I know for me, a contamination is just as devastating as eating a piece of pizza, so it’s very important to know where gluten might be sneaking into your diet…Here’s a more comprehensive list of sneaky sources of cross contamination. 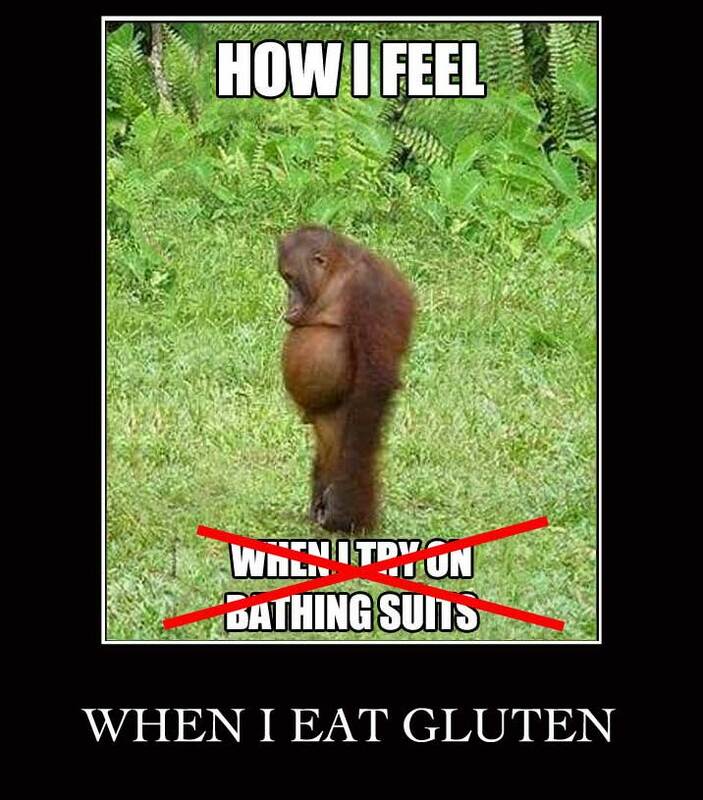 Gluten free labeling be brought to new standards. Wahoo, now if only we could make “The top 8” allergens list into “The Top 9” – that would make things much easier! The U.S. Food and Drug Administration set a final standard on Friday to clearly define what the term “gluten-free” means on food labels. The new regulation is targeted to help the estimated 3 million Americans who have celiac disease, a chronic inflammatory auto-immune disorder that can affect the lining of the small intestine when gluten is consumed. Gluten is a protein composite found in wheat, rye, barley and crossbreeds of these grassy grains. 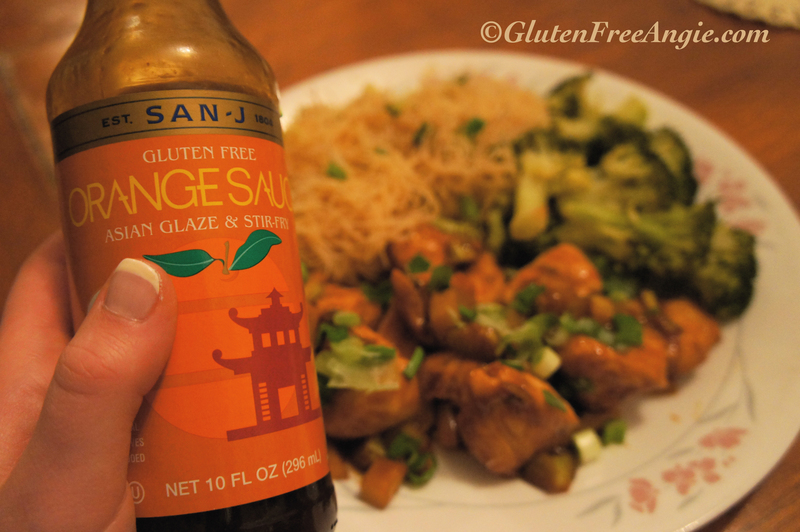 San J has a variety of gluten free sauces such as szechuan, terikayi, thai peanut, asian BBQ, soy sauce and this orange sauce. 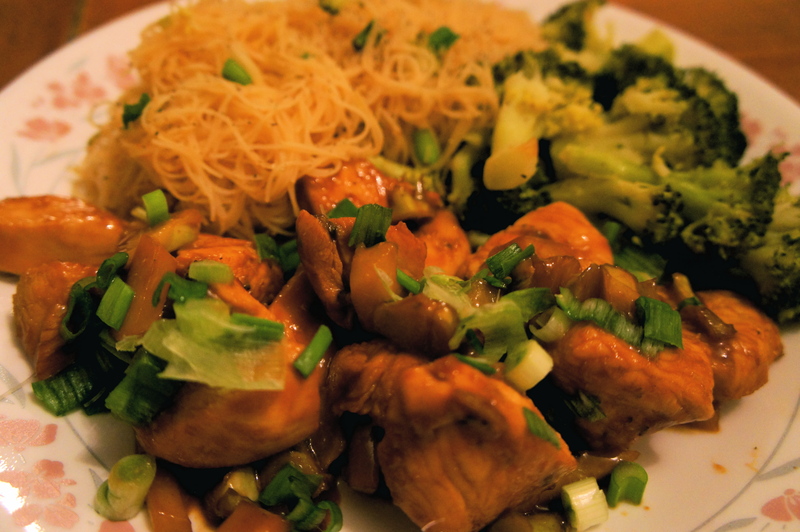 I tried this tangy stir fry sauce on chicken this week and I would definitely recommend it/use it again. I sliced boneless chicken breast into 2″ chunks and put them in a plastic bag and poured in enough sauce to cover. I recommend marinating them as long as you can, even overnight, and then sautéing them in a non-stick pan – as they cook add a few additional tablespoons of sauce as the marinade begins to burn off. Keep the heat medium to low so the sauce doesn’t burn. 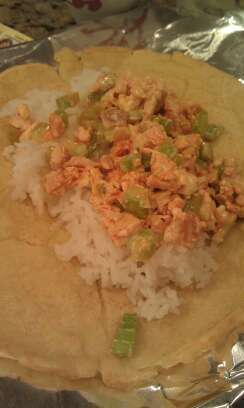 The only additional ingredient I used for the chicken was chopped scallions! I also used this sauce on the rice noodles that accompanied my chicken. After the noodles were cooked I just tossed them in a frying pan with 2 tablespoons of the orange sauce and mixed until thoroughly covered. So unfortunately, I came down with a bad cold Jan 1st. Perhaps it’s because I had too much fun on New Year’s Eve, or perhaps I live in the most germ infested part of the U.S. (yup, that’s a map of sickness in the U.S., and apparently Boston is one of the germiest places right now). Either way, I was desperate to get back on my feet quickly- so I made the healthiest homemade soup that a sick person could make. 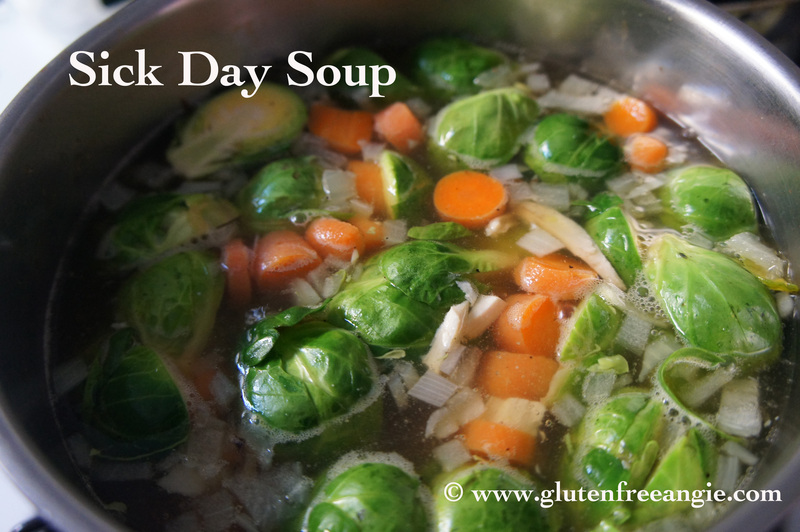 This is certainly not the healthiest soup possible, but if your home sick and you are too tired to cook from scratch, this is definitely better for you than any high-sodium canned soup. 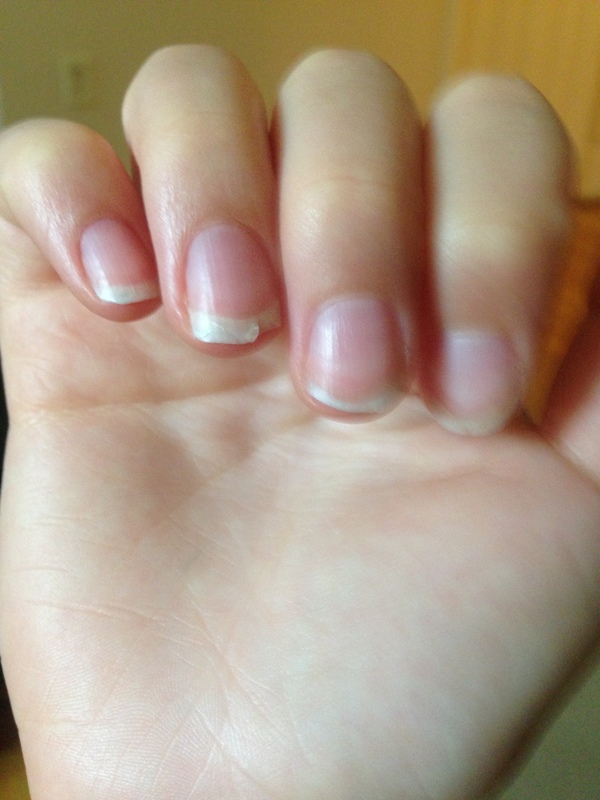 Takes about 20-30 minutes total. -4 carrots (alpha-carotene and beta-carotene which convert to vitamin A, as well as dietary fibre, antioxidants, and minerals). Top of with grated parmesan cheese and get well soon! You can use a soft corn tortilla as your shell, or a homemade crepe.. I suggest using a crepe if you want to really load up your burrito..
-Make your crepe (directions here), or lightly pan fry a corn tortilla in a tsp of olive oil. 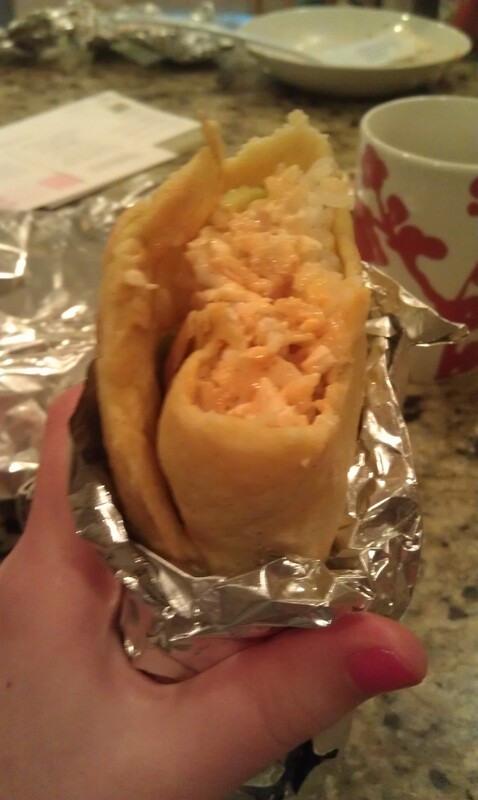 -Roll into a burrito & Enjoy! Gluten free cheesecake – very easy- the only thing that needs to be altered from your average cheesecake is the crust. 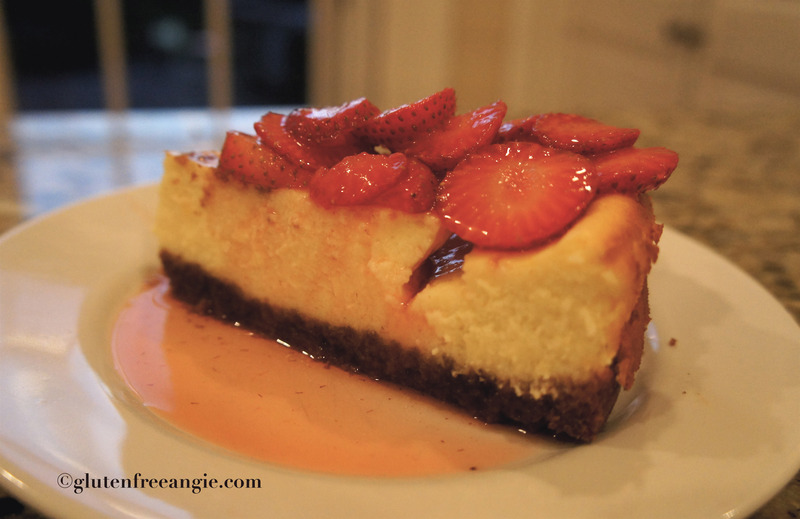 This is my favorite cheesecake recipe…first- because it is more delicious than other cheesecakes and second- because its much more simple than other cheesecake recipes I have tried. 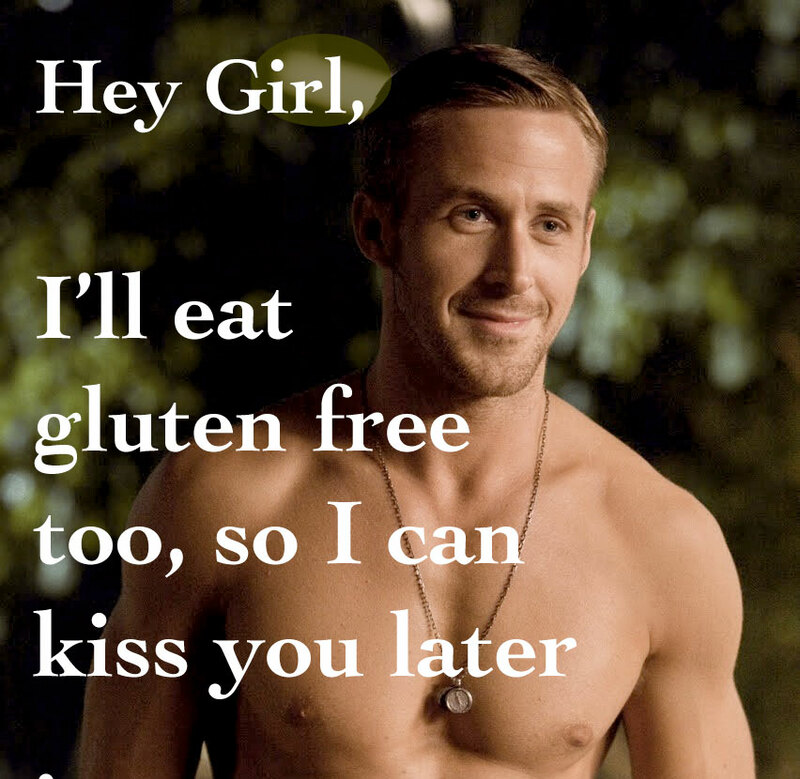 -crush up gluten free cookies to use as your crust. -pour mixture into the bottom of your spring form pan and push it down into a flat crust with the back end of a spoon or spatula. I like strawberries mixed with agave. I slice about 10 strawberries up thin and mix them in a bowl with 1/8 cup agave. Cover with saran wrap and let them sit in the fridge until you need them. I love these. 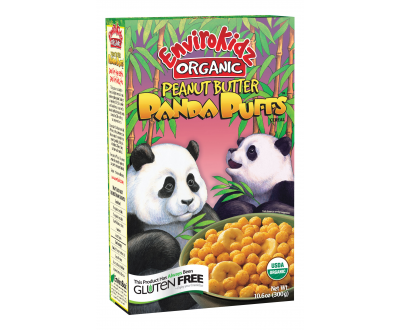 They are like a healthy gluten free version of Resse’s Puffs. 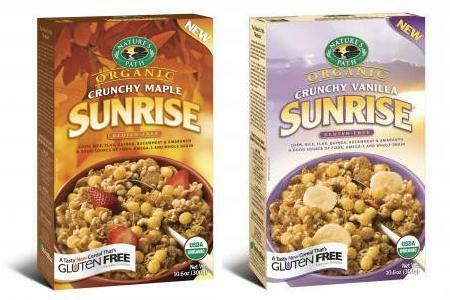 I also love these, with almond milk for breakfast, or dessert. 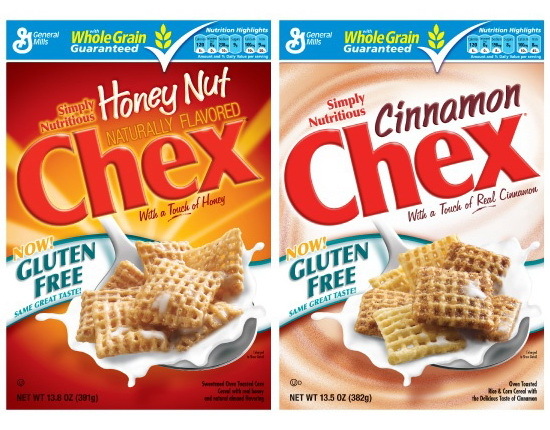 Chex makes some great gluten free cereal! The plain flavor is pretty boring though- I like honey nut and cinnamon best.